We are extremely proud of our dedicated team. 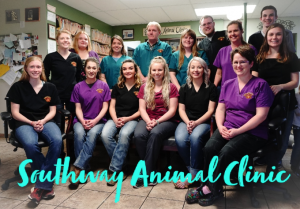 We hire only the best and most experienced employees to become a part of our team here at Southway Animal Clinic. Learning and education are very important here at Southway Animal Clinic. We strive to have a state of the art hospital with a staff trained in the latest medical advances. Our patients deserve the very best veterinary care. If you would like to speak to someone on our team, don’t hesitate to contact us today at (208) 743-0280. I was born and raised in the Tri Cities, WA. 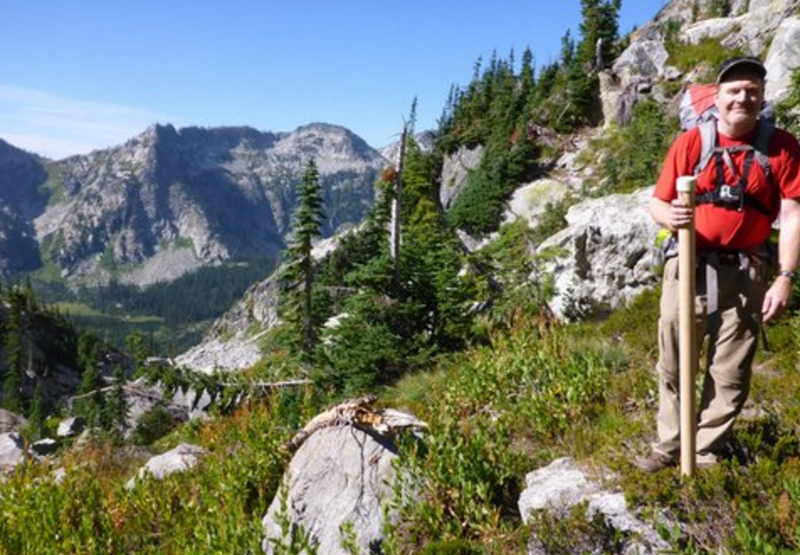 I spent 8 years at Washington State University and graduated with a degree in Animal Science in 1988 and a Doctor of Veterinary Medicine in 1992. I started at a mixed animal practice in Weiser, ID where I worked for 5 years. Afterwards, I moved to a small animal practice in Spokane, WA for about a year. Finally, in 1998, I settled in Lewiston, ID. I have owned and operated Southway Animal Clinic since then. My special interests in veterinary medicine include orthopedic surgery and diagnoses and management of endocrine diseases. In my spare time, I enjoy the great outdoors, spending time with my family, and working on my place. I was born in Alexandria, Minnesota and from as early as I can remember, I wanted to pursue veterinary medicine as my career. In 1998, my family left the Midwest for the Wild West and settled in a beautiful area of northwestern Montana. I graduated from high school from Troy, MT, and proceeded to Bozeman to begin my secondary education in animal sciences. I received my undergraduate degree from Montana State in May 2008. I was accepted into Washington State University College of Veterinary Medicine prior to finishing my undergraduate degree in the Fall of 2007. I fell in love with the Palouse, and my husband, in Pullman. I graduated with a Doctor of Veterinary Medicine degree from WSU in 2011. My husband and I accepted an associate veterinary position at Southway Animal Clinic with Dr. Ard and his wonderful team and have built an exciting life and career as a general practitioner in the Lewiston/Clarkston area. We are joyfully raising our family and enjoying the many activities the area has to offer. We keep busy with our small children, 2 dogs, 2 cats, and visiting family. We feel blessed to be a part of a great practice in a great community. I grew up hunting, camping, fishing, and hiking in the mountains of southwest Wyoming. My brother and I had many pets growing up, including dogs, rats, gerbils, guinea pigs, and salamanders. From a young age I knew that I wanted to be a veterinarian and I began my journey in the Animal and Veterinary Sciences program at the University of Wyoming. I met my husband in the Pre-Veterinary Club while at UW. He was accepted into the veterinary program at Washington State University and I applied to the same school in my junior year. I was accepted into the program early and we were married the summer before I started my first year at WSU. We decided to stay in the Palouse after graduation and I accepted a position with the Southway team. I’m excited to begin my career with this amazing group of people. I enjoy each aspect of veterinary medicine, especially working with clients to provide the best health care options for their pets. Outside of the clinic, I enjoy hiking and camping with my husband and our two dogs. I also enjoyed painting, drawing, and gardening in my free time. I was raised in Lewiston where I had a menagerie of animals: dogs, cats, birds, poultry, sheep, goats, llamas, and steers. I was active in 4-H growing up, and then became a Beef leader for my childhood 4-H club. I worked at Southway Animal Clinic for a few years while in high school as a kennel assistant, and then as a veterinary assistant. I graduated from Lewiston High School in 2000, and received my Bachelor’s in Animal Science from the U of I in 2004. I then moved to Denver, where I graduated from the Bel-Rea Institute of Animal Technology in June 2008 with an AS in Veterinary Technology. I moved back to the LC Valley in July of 2008, where I re-joined the Southway Animal Clinic team as a Certified Veterinary Technician. I enjoy spending time with my friends and family, cooking, working on our house and being outdoors (hunting, gardening, fishing, hiking, water activities, and camping). My husband (Perry) and I live in Lenore with our daughter where we are able to enjoy all of our favorite activities. Our current animal crew consists of: Sissy (Corgi), Blue (Dachshund/Chihuahua), Winston (Aussie/Heeler), and Mia and Lucy, the cats. We are looking forward to expanding our family!